Arcade gamification software is best suitable for fueling up retail sales revenue, by applying game mechanics into the retail setting.The tool can provide an excellent solution for staff training, contests, rewards, recognition and communication solutions to retailers.With its collaboration tools, a highly collaborative and engaging work environment can be setup at your workplace.Performance metrics, goal setting / tracking and leaderboards / activity tracking features will assist in evaluating the performances of employees, which can be seen by them also.It also offers contest management, rewards management and badge management for encouraging the competency of employees. How much does Arcade cost ? 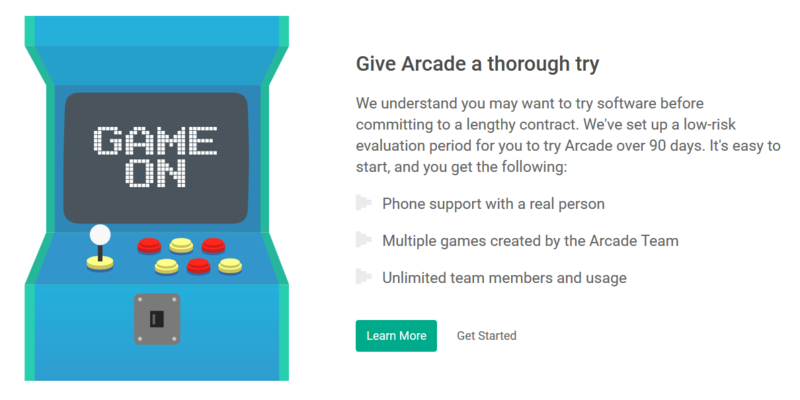 Arcade provides a custom pricing for their software. Arcade offers different packages for businesses. Contact the vendor for detailed pricing information. Pros: It is very easy to get others involved and discussing sales successes. Cons: As a manager I would like to see the amount of time an individual has spent using the application so that I can help them stay engaged. Overall: I¿m impressed and pleased. I enjoy communicating and having contests within the company. Pros: Communicating and competing with different stores in our company. It allows people to communicate and post in real time. Cons: Better denominations for gift cards. Higher dollar amount. More contests with larger payouts. Takes too long to get gift cards...It should be instant. Overall: Real time communication and enjoyable contests. Love Arcade but it can be glitchy which causes a frustrating experience. Pros: We have really enjoyed Arcade and how it has made our team more interactive with each other. We collaborate on ideas to improve, comment on each others posts and encourage each other. I like that we can now tag staff on the post to address issues or recognize staff immediately. Cons: I'm looking forward to new ideas such as blog posts with ideas on improving our collaboration and real gamification on the app such as treasure chests, tickets, levels and building city communities brick by brick such as in other real games that keep users on the apps. Great for interacting with team. Pros: Easy to communicate across multiple chains throughout the company. Great for employee reconigition. 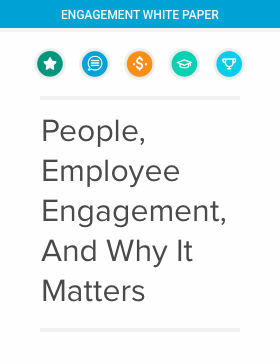 Employees love the interaction with each other. Cons: Some of the glitches with h the software have caused a few delays when trying g to roll out to programs. The team is very responsive and quick to get the issues fixed. Great for rewarding and driving productivity. Pros: Rewards and incentives. Ability to give recognition stars for good behavior. Great for positive reinforcement. There are a lot of great features in the software inspire and communicate with a large group. Pros: All the features available. Creating Huddles, Contests, Performance, Recognition! I like being able to create a huddle for my teams with our goals and focus for the day, week and month. I like being able to hold contests were everyone in the company can see the progress of where they stand within the contest. It is a great tool for motivation when all employees in the company can support each other. The love the fact that anyone can recognize anyone else with a star. Cons: Unable to upload video clips and/or demonstrations. It would be great if we were able to record and post short video clips. This would allow us to use the software as a training tool as well. We could take short "How to Videos" and post them on Arcade. That would be a great way to share best practices. I would also like to be able to issue stars more often than once per week. Sometimes several people deserve a star in the same week and you have to select one person. I love this program because it help the company to engage in communication. Creates a positive interactions between coworkers, games, and etc. Cons: Sometimes some employees have a hard time to connect or upload pictures. Most of the time the issue is with Android devices. Pros: The platform allows for not only chat with anyone in the company but the newsfeed is one of the best features. It allows people to share with the entire company in one centralized place. Cons: The apple app is very buggy and lags a lot. You cannot swipe right to go back which is very inconvenient during 1 handed operation. Also the lack of being able to post videos is a little disappointing. Overall: Its a all in one software for company chat, recognition and communications. Awesome group app with many perks. Pros: Setting leagues and group chats. The ease of the app. Giving rewards in form of tokens that can be redeemed for gift cards. Cons: Lags sometimes. Does not load up as quickly as I will like. Sometimes shows just a blank page and won't load.